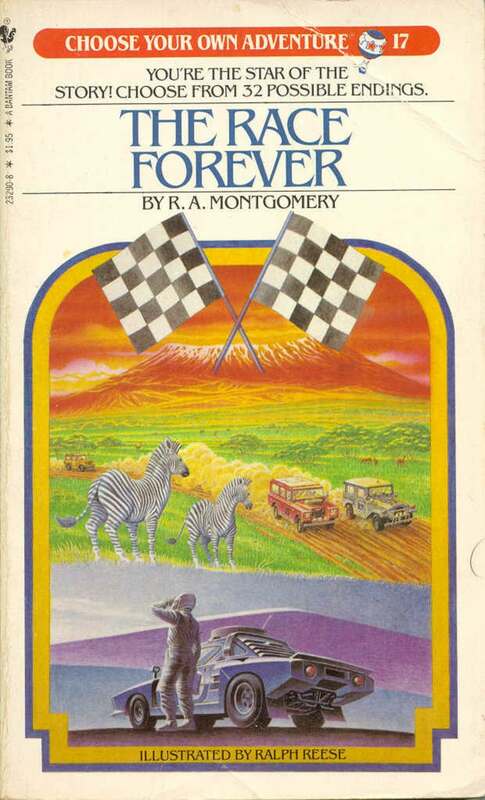 In the early years of the 1980s, Bantam Books published a book franchise titled Choose Your Own Adventure aimed at readers between the ages of ten and fourteen. 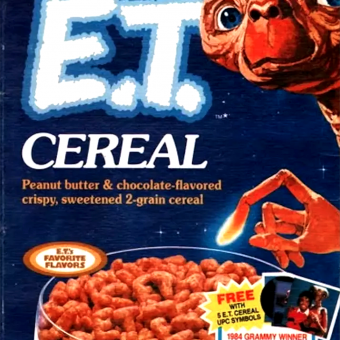 By the end of the decade, the Choose Your Own Adventure Books had sold more than 250 million copies worldwide. 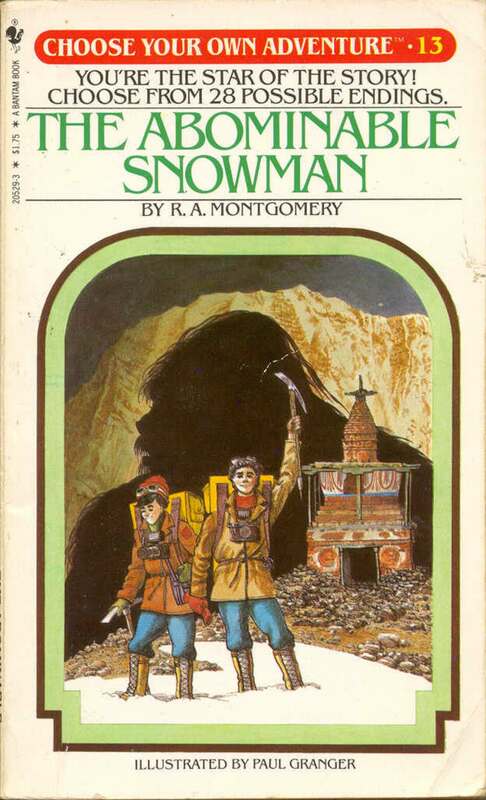 Choose Your Own Adventure books were perhaps as much a game as a legitimate literary experience, but titles like The Abominable Snowman (28 possible endings!) 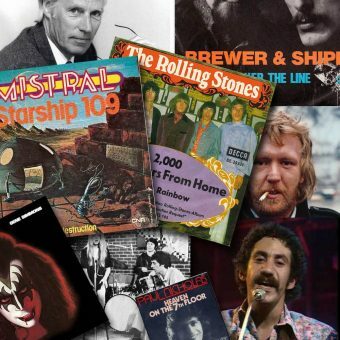 offered intrepid readers the chance to move between alternate or parallel realities by deciding which “action” to take given any particular scenario. 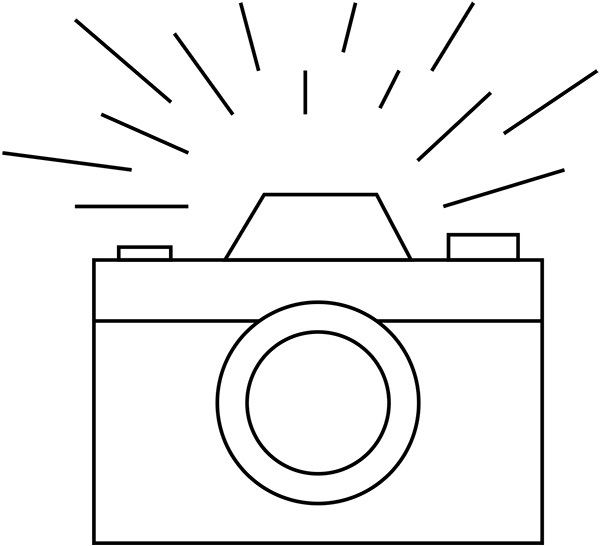 For instance, if you chose to go into a dark cave without a flashlight, you would turn to page 68…and promptly fall off the edge of a precipice. Or if you decided to “go back to camp” for your flashlight, you would end on an entirely different (and hopefully more life-sustaining) path. I recall reading these books during my early middle school years and really enjoying them. To my adolescent mind, the narratives felt genuinely suspenseful because every action had an immediate impact…sometimes deadly. Because I had a keenly developed sense of the macabre even at that tender age, I would often pick the wrong solution, just so I could experience a terrifying demise. 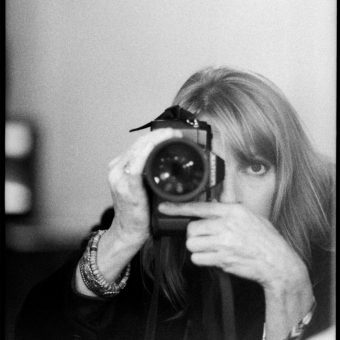 It was like being the star in your own horror novel. Not surprisingly, the popular movie/TV genre franchises of the day imitated the Choose Your Own Adventure format. Star Trek and Raiders of the Lost Ark jump to mind, and to me, this development was absolute nirvana: the chance to send Captain Kirk, Mr. Spock or Indiana Jones into adventures where I could determine the outcome. 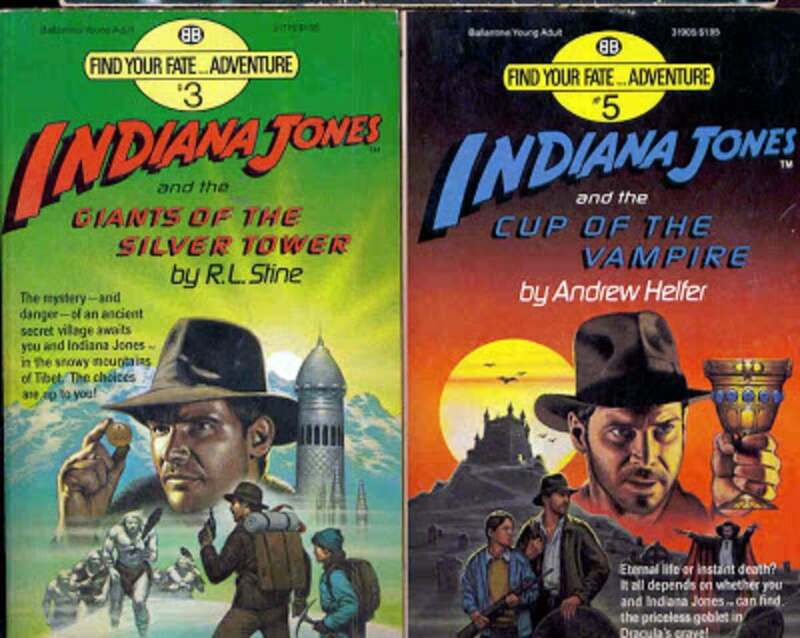 Ballantine’s “young adult line” offered several “Find Your Fate Adventures” for the character of Indiana Jones, at $1.95 a book. Among the titles were Indiana Jones and the Lost Treasure of Sheba by Rose Estes, Indiana Jones and the Giants of Silver Tower by R.L. Stine, Indiana Jones and the Legion of Death by Richard Wenk, and Indiana Jones and the Cup of the Vampire by Andrew Helfer. Simon and Schuster published Star Trek “Plot-Your-Own-Adventure” stories in 1982 under their Wanderer imprint, for $2.95 a pop. 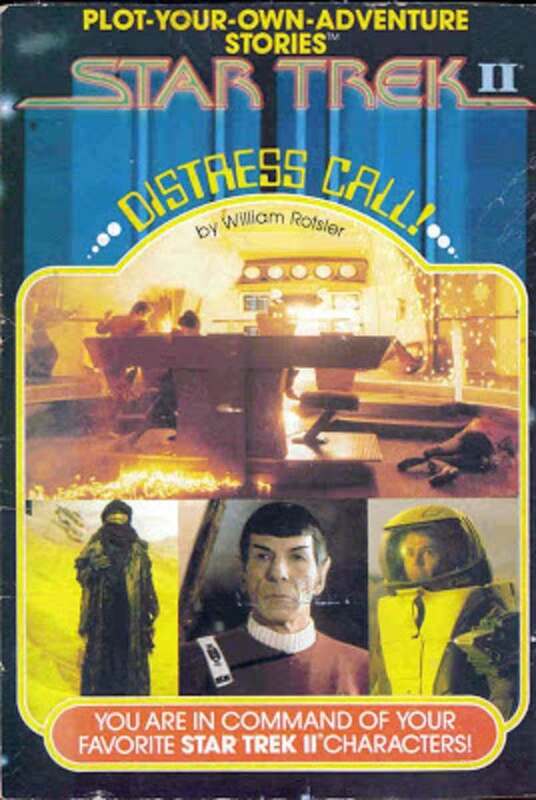 “You are in command of your favorite Star Trek II characters,” the cover of Distress Call by William Rotsler reported. 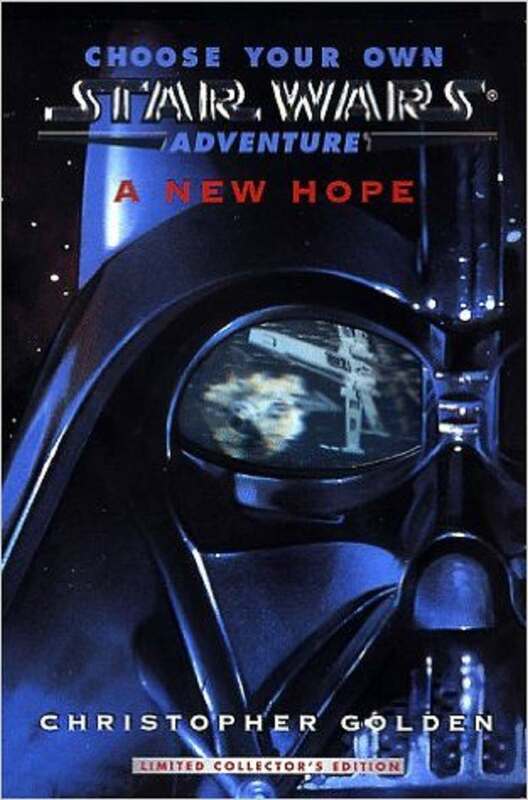 Star Wars had its day in the CYOA sun in the 1990s too, with author Christopher Golden contributing to the Choose Your Own Star Wars Adventure line. By then, I had stopped reading these books; I guess you could say I outgrew them by then. But I was happy to know that new volumes were being published for the next generation.